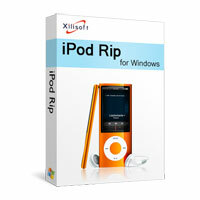 Xilisoft iPod Mate for Mac is a collection of the most popular and premium software for your iPod. It contains iPod Convert for Mac (iPod management software), DVD to iPod Converter for Mac and iPod Video Converter for Mac. Simplify your iPod management with Xilisoft iPod Mate for Mac! iPod Convert for Mac – transfer music and movies between your iPod and Mac; copy contents to and from your iPod to iTunes. DVD to iPod Converter for Mac and iPod Video Converter for Mac – convert Home DVD movies and videos to any format compatible with your iPod: MP4 (MPEG-4), MP3, AAC, M4A. Discover unlimited possibilities with your iPod once you download and install the Xilisoft iPod Mate for Mac! It's a steal with the excellent programs and cheap price! 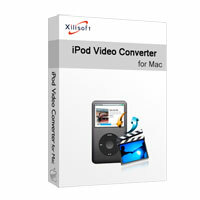 Xilisoft iPod Video Converter for Mac helps you convert all popular video formats such as AVI, MPEG, WMV, MOV, MP4, VOB, DivX, XviD, etc. to iPod MP4/MPEG-4 video and MP3, M4A, AAC audio, and also convert audio files MP3, AC3, AAC to iPod music. Xilisoft DVD to iPod Converter for Mac is expert in converting home DVD to iPod video MP4 for all iPod types with different resolutions. Besides converting home DVD to iPod video format, this DVD to iPod Converter can also convert home DVD to iPod audio formats like M4A (AAC), MP3, etc. Designed for iPod and iPhone users on Mac, Xilisoft iPod Convert for Mac can fast and easily copy music, videos and photos from iPod/iPhone to Mac and vice versa, transfer files from iPod/iPhone to iTunes, and transfer files between up to 26 iPods and 1 iPhone.